It's been a while since I saw my dentist for teeth cleaning. My kids also need to go. When we were living with my OFW husband in KSA years ago, we enjoyed dental services with his company's health card. So my kids get to visit a Pediatric dentist regularly. It is recommended to go to the dentist every six months. As parents, we also need to think about our child's relation with a dentist. It is essential if we want our child to have a lasting smile. I really feel bad whenever I see a little child who already lost her teeth to decay. So, when we came to live here in the Philippines permanently, one of the first things I looked for is a dentist for kids near me. A child who feels happy going to the dentist would love to see the dentist. The ambiance in the dental clinic has something to do with it. I remember my little kids love to go to the dentist because they get little treats/toys after the dental check up (plus we also let them eat something they like afterward). The dentist is also friendly to children. 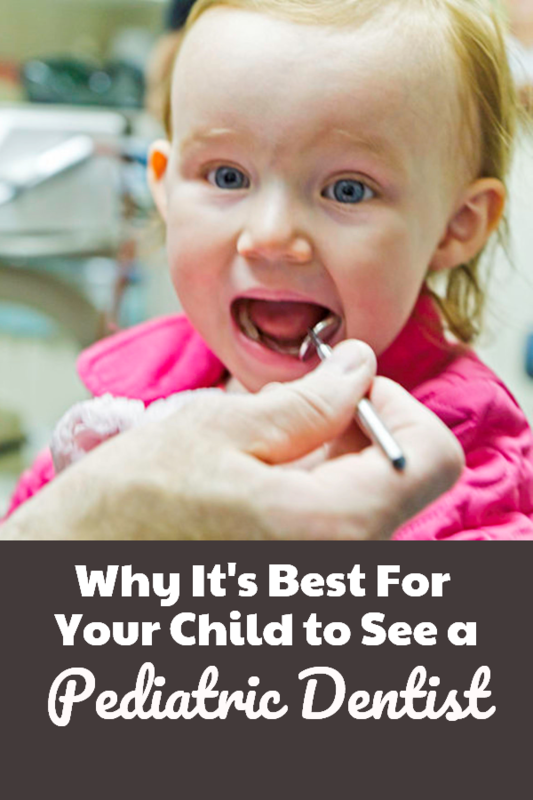 Why is it best for kids to see a Pediatric Dentist? Doctors that treat and maintain children’s teeth are known as Pediatric Dentists. They studied Pediatric Dentistry just so they could specialize in taking care of the oral health of the children right through adolescence. Children’s teeth go through stages of changes. Babies start with having no teeth. Then, as they grow they have milk teeth. Later, they lose their teeth one by one (sometimes two at the same time) and get their permanent teeth. All through these times, it is important to give utmost dental care. Baby teeth appear at about the age of 6 months. When children are 6-7 years old, they start losing their milk teeth. Those are replaced by the permanent ones and it is important that they grow in the right way. A good Pediatric Dentist can help with taking care of that and check if there are any problems. Milk teeth is important for chewing, grinding and biting. They help kids develop proper speech habits. They develop their jaw muscles and bones. It is necessary to ensure there's enough space for permanent teeth to grow. Kids feel happy about how they look. They serve as a guide for secondary teeth to grow in the right position and for the permanent teeth to grow under the primary teeth. Milk teeth can be affected by diseases when not taken care of. Every child acquires habits that impact the health of their teeth. These are acquired as a result of repetition in the early stages of their life. Some common oral habits among kids include mouth breathing, thumb sucking, tongue thrusting, grinding of teeth, lip biting, and nail biting. They need to be reminded not to do any of such activities to protect their teeth. Pediatric Dentists can help detect if your child needs special care towards their teeth. This might mean having braces to make their teeth aligned. They tell your kids the bad oral habits that they need to stop or the good ones to keep. Sometimes, your child needs to hear it from an expert to make sure that he/she will always have a healthy smile. So, don't forget to look for a good Pediatric Dentist near you. Great advice, I don't have kids but I didn't realise you should start them at the dentist at such a young age. Thanks for sharing. Yes, Tara. Kids should see the dentist early on. My kids started going to dental check-up as early as 2-3 years old. That also helped get them in the habit of brushing their teeth. I know someone who is a specialist will do much better understanding all of the changes kids go through. Although my dentist growing up was both and he was absolutely amazing who could do amazing work with teeth, children or adults. This is a great post for parents of little ones. Thankfully our insurance company does a good job of making parents aware of this and providing great coverage for pediatric dental services. So true! It is important to start them young so their teeth will be monitored. This will also help to avoid creating fear in visiting dentist's clinic. The good experience children have with a Pediatric dentist will help with their future dentist visits as well, as grown-ups. Most kids are scared to go to the dentist because they often associate a dentist chair with pain and discomfort. A pediatric dentist knows more about toddlers and kids teeth more than the usual doctor. It is because he puts more time to study the specific client. It's like having a pediatric ophthalmologist and pedia for general medicine. If my parents read this before giving birth to me guess i won't have a hole in my tooth now but am happy i read this so i won't make same mistake. This is such great advice. I had a hard time getting my kids to brush their teeth when they were young, it was an actual battle unfortunately. They have decent adult teeth luckily. It is true that for everyone it is essential to go to the dentist in every six months. But the kids really have hard time visiting the dentist. This is why a child's relation with a dentist should be friendly so that the kid doesn’t freak out. I also have chosen the best dentist Redondo Beach for my son’s dental care and he is best for me!